On January 24, 2018 Attorney Sufen Hilf was a featured guest for a discussion entitled “The Rundown: Immigration (all sides) on the Ross Kaminsky Show. The popular weekday morning drive time show explores hot topic issues from all different facets. Ross Kaminsky touts himself as an objectivist/libertarian who “cannot be offended by saying that he is not sufficiently conservative”. For a sense of Ross Kaminsky’s political opinion as to DREAMERS, you can click here. Sufen Hilf answered questions posed by Ross Kaminsky and his listeners in a straight forward, comprehensive manner. Her interview is available here. Ross Kaminsky appears via radio at 630 KHOW in Denver, Colorado, and his show is nationally available by podcast for no charge at the Apple Store and at IHeartRadio. Sufen Hilf feels that it is her duty as an immigration advocate to offer her experience and advice to the larger public, and to combat any misconceptions and distortions that occur based upon the highly politicized nature of this topic and its coverage in the media. As a top notch immigration lawyer and as someone who immigrated herself to the United States, she offers both a personal and informed perspective on the reality of United States Immigration law. Sufen Hilf currently is a practicing partner with the immigration firm of Hilf & Hilf, PLC. She is one of a handful of lawyers in the State of Michigan that provides comprehensive and effective representation in all areas of United States Immigration, including: family based petitions, business immigration, waivers, removal defense, asylum, and appeals. Based upon her national reputation, she frequently is retained to handle immigration matters throughout the United States (because Immigration law is Federal law, she is not required to be licensed in every State). Although she originally is from China and speaks fluent Mandarin, her clientele is very diverse – from all different parts of the world, and from all walks of life. Her clients include: business leaders, persons of extraordinary ability, professional and olympic athletes, students, factory workers, engaged couples, newlywed couples, etc., etc. 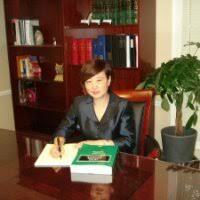 She is very approachable and provides sound legal advice to her clients in a way that is easy to comprehend. For more information about attorney Sufen Hilf, please visit www.hilfandhilf.com. A gun conviction can carry extremely severe immigration consequences for persons that are not United States citizens. INA section 237(a)(2)(C) makes convictions under federal, state, and local laws for firearms offenses deportable. The list of offenses that fall under this provision is very broad. Even very minor firearm convictions, such as negligent discharge of a gun, brandishing a pistol, unlawful transport of a firearm, etc., can all potentially lead to deportation. 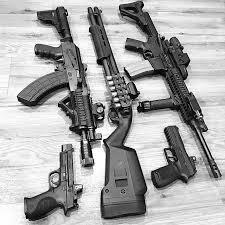 Many firearms offenses (not all) are considered to be aggravated felonies that can lead to deportability, inadmissibility, and denial of adjustment of status. One such offense that is noteworthy is the possession of a firearm by an illegal alien or an alien in non-immigration status (see 18 USC section 922(g)(5). Also, if a sentence of 1 year or more is imposed on a crime of violence conviction, it is also considered to be an aggravated felony (see INA section 101(a)(43)(F). Is it ever legal for aliens to possess firearms? In some limited cases, yes. An alien who has been lawfully admitted to the United States under a non-immigration visa who is admitted to the United States for for lawful hunting or sporting purposes, or is in possession of a hunting license or permit lawfully issued in the United States may possess lawful firearms under 18 USC section 922(y)(2)(A). Lawful Permanent Residents (green card holders) can also possess firearms as long as they follow the applicable state, federal, and local laws to do so. Even an alien or green card holder that lawfully possesses or uses a firearm may run into trouble with their immigration status for firearms related violations. It is advisable that an alien or green card holder who wants to possess or use firearms consult with a lawyer, and receive proper training, so he or she specifically understand what the law requires. Again, even a relatively minor gun violation can result in catastrophic immigration consequences. Deportability for a firearms offense will trigger mandatory detention. This means that a non citizen who is in immigration proceedings for a firearm related conviction will be held in immigration custody while removal proceedings are pending (see INA section 236(c)(1)(B). An immigration judge will be without jurisdiction to set a bond when mandatory detention applies. The information in this blog is not a substitute for seeking the legal opinion and/or legal representation of an experienced immigration lawyer who is fully aware of lawful permanent resident’s background and personal circumstances. 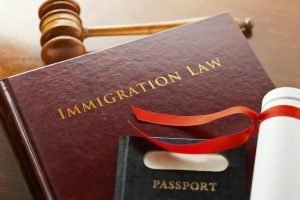 Immigration law is prone to frequent changes in the law that can affect the validity of the information provided herein. For any immigration law issue I recommend attorney Sufen Hilf of the law firm Hilf & Hilf, PLC. With the increasing legalization by States for marijuana there is a false perception that Federal law is also more tolerant. The federal penalty for possession of marijuana (as a first time marijuana conviction only) is a misdemeanor with up to 1 year of incarceration and a maximum fine of $1000. The federal penalty for selling or distributing less than 50 kilograms of marijuana is a felony that carries up to 5 years of incarceration and a maximum fine of $250,000. At the time of this blog marijuana is classified under Federal law as a schedule 1 substance. Immigration law is similarly in opposition to marijuana use, possession, distribution, sales, or cultivation. Moreover, any sort of a diversionary sentence in State court in which the alien pled guilty before a Judge is still viewed as as a conviction. It does not matter if the State considers the conviction as expunged, sealed, or not entered into a public record. Lawyer for Jail Visit. Lawyer for Prison Visit. Does the Petty Crime Exception Apply to Retail Fraud Convictions? For any immigration related issue your best bet is to hire an experienced immigration lawyer. The information in this blog is subject to change at any time. Reading a blog is not a substitute for seeking the services of an experienced immigration or criminal defense lawyer. Retail Fraud is considered to be a crime of moral turpitude (CIMT). A conviction for retail fraud may or may not disqualify you for a visa in the United States. The issue becomes whether or not the conviction is classified as a petty offense pursuant to INA section 212(a)(2)(A)(ii)(II). Being an undocumented alien is very difficult, especially when the legal system is involved. There is a natural fear that going to court may lead to removal. Removal means possibly the following: “What is going to happen to my children?”, “How am I going to take care of my wife and my family”, “Who is going to pay the rent, the bills?”, “It is not safe in my home country. What will happen to me if I am forced to go back?”. Many States like Michigan refuse to allow most undocumented aliens the ability to get a driver’s license. In Michigan it is almost impossible to get from one place to another without being able to drive. One option is to drive with a valid driver’s license from your home country and an international driver’s license (if your home country and the United States have a treaty to allow for such driving). What happens when your license is expired, or lost, or is no longer valid? Driving without a valid license is a misdemeanor offense. Another choice may be not to drive, which really isn’t a good solution? Another choice may be to contact an experienced immigration lawyer such as Attorney Sufen Hilf of the law firm Hilf & Hilf, PLC to see if you can obtain a lawful status in the United States. If you obtain lawful status in the United States it may become possible to obtain a valid license. However, in some cases it might not be possible to get lawful status. So what happens if you are undocumented and you receive a ticket for driving while license expired, driving under the influence, domestic violence, retail fraud, or some other criminal offense? If you go to Court and are convicted there is a risk that the Judge or the probation department could report your status to ICE. There are some Judges that order Defendants to report their status to ICE as a condition of probation (which may be a violation of your 5th Amendment privilege against self incrimination, because being unlawfully present in the United States is actually a crime). If the probation department and the Judge are no good, what should I do? What is the Difference Between Deportation & Voluntary Deportation? The government has a removal proceeding in the United States to remove a non-citizen, or alien, from the country. There are different forms of deportation; voluntary deportation is when an alien leaves the country of his or her own accord and at his or her own expense within a certain amount of time, while deportation is when the government orders removal of an alien from the United States after the removal proceedings and at the cost of the state. Two types of voluntary departure exist, both permits the alien to leave the United States within a time period and at their own expense. Is an Immigrant Convicted of a Theft Deportable? An immigrant convicted of theft is deportable if the theft is considered an aggravated felony. These immigrants include any noncitizen of the U.S (valid visa holders and green card holders). For a case with an undocumented immigrant with no lawful status that’s convicted of theft, that alone can be the basis of deportation, not act of theft itself. Immigration law contains a list of crimes which make an immigrant subject to deportation due to moral turpitude, and although theft is not included separately, it is included in the list of crimes that are considered aggravated felonies. Complications arise when the realization of theft, most often prosecuted under state law, are being judged using Federal statutes to determine severity. The result is that a crime of theft that may be considered a misdemeanor in the state court where it is prosecuted could be considered, and in some cases, to be an aggravated felony for federal immigration purposes. This is due to the varying standards applied by immigration law. The benchmark for considering a crime of theft an aggravated felony is that the convictions of theft, receipt of stolen property, or burglary could have a sentence of at least one year. Immigration law can be complex when considering the interaction of state and federal statutes and it is often difficult to state any rule with certainty. A crime that is less serious in other contexts, such as a minor theft, could be elevated to an aggravated felony in the eyes of the immigration authorities and result in deportation. According to the US Department of State, to hold dual citizenship or dual nationality means a person must be a national or hold citizenship of two countries at the same time. Though no specific provisions exist in law for this condition as they do inother countries, the Government of the United States recognizes the existence of dual citizenship while discouraging it as a matter of practice due the complications that may occur for the dual national. US law thus does not prohibit dual nationality and does not require a citizen to choose one nationality, but it is possible, though very uncommon, to lose US citizenship through accepting foreign nationality under certain circumstances. Generally, if a US citizen obtains foreign nationality automatically, perhaps by parentage, his or her US citizenship status remains unaffected. If the person is required to take certain actions to obtain the foreign citizenship, then it becomes possible to lose US citizenship if the intention to abandon it is demonstrated, according to the State Department. The person must voluntarily apply for the second citizenship and do so with the intention of surrendering US citizenship. This allows dual citizenship in practice if not in name and there is little to no chance of inadvertently losing one’s citizenship by accepting a second. The country where the person resides is considered to have the strongest claim to allegiance. When traveling, the United States asks that US passport holders who also hold other passports use their US passports when entering and exiting the country and this rule is common among most nations. Conflicts may arise for dual citizens due to the fact that they are expected to obey two sets of laws and issues such as obligatory military service and global taxation must be dealt with. Dual citizens should keep in mind that the US taxes worldwide income and they are required to report all income earned abroad.